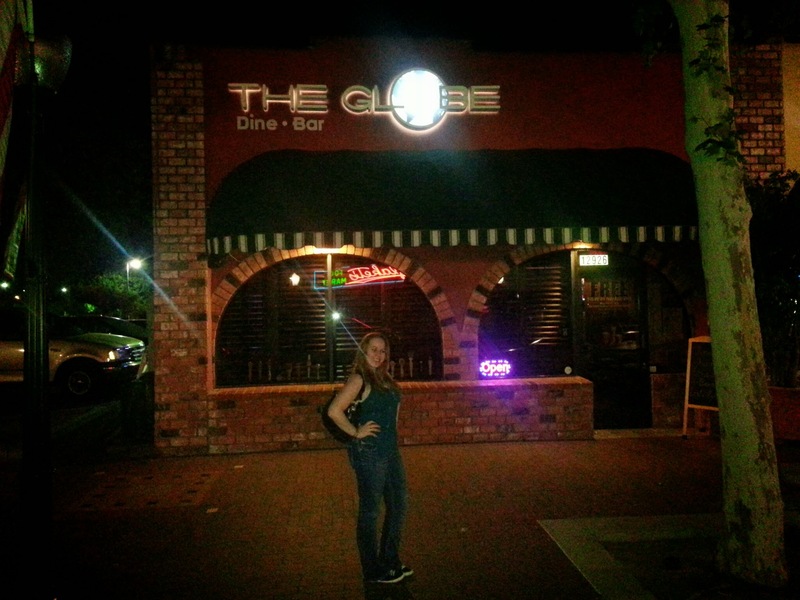 I recently went to visit The Globe – Belgian Gastropub in the heart of Garden Grove on downtown Main Street. 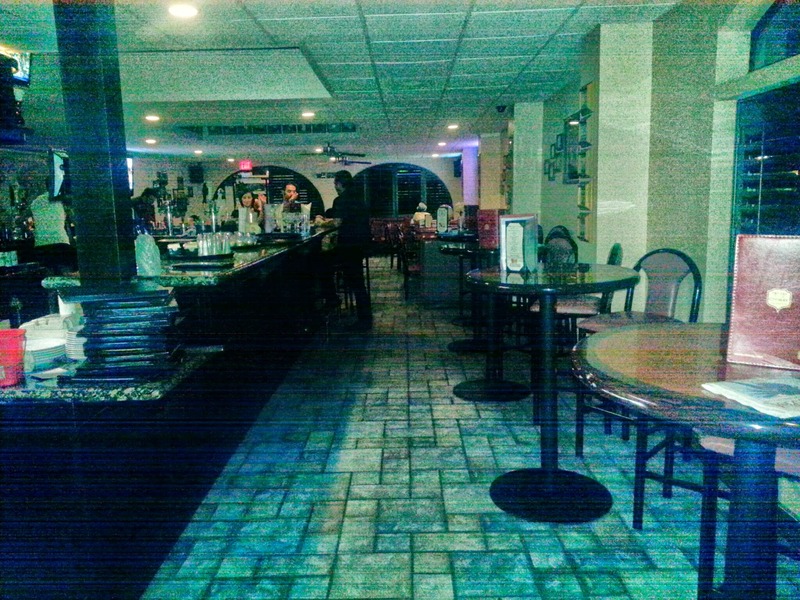 I have worked in the city of Garden Grove for the past 6 years and I have never gone to visit this eclectic restaurant, so I was excited to see what they had to offer. I have heard great things about The Globe – Belgian Gastropub in that they have a variety of beer options and Belgian dishes offered! My favorite beer has always been Belgian Beer and I have been obsessed with Belgian fries and mayo ever since I was 15 and I took a family trip to Belgium. 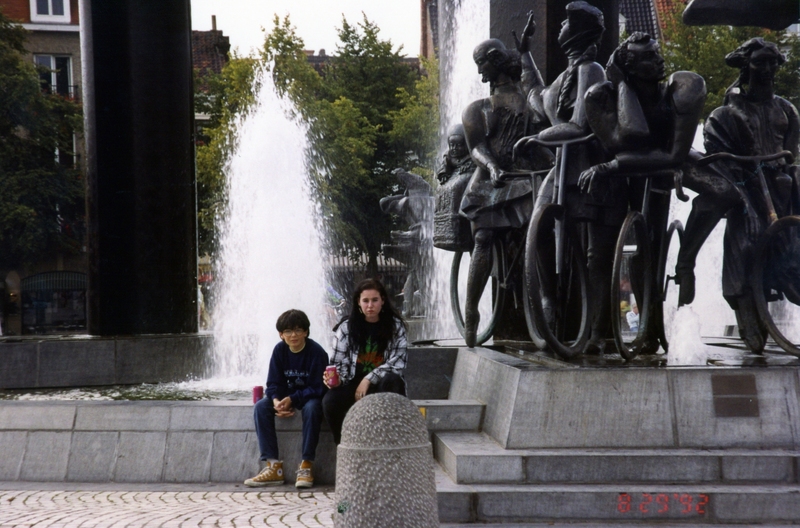 At that time, I fell in love with the city and when I traveled back to Amsterdam years later (close to Belgium…) I had the opportunity once again to enjoy Belgian delicacies. My past travels made this visit to The Globe – Belgian Gastropub very special to me & I was excited to be able to enjoy their Belgian food and beer. Upon entering The Globe, I was pleasantly impressed by the tabletops in the restaurant that each had different pictures representing different countries. Something else that was definitely unique about The Globe – Belgian Gastropub was that they have 18 drafts on tap and 25 bottles of different Belgian Beers. Each beer on draft, as well as in a bottle comes in its’ own unique glassware provided from the brewer with their unique logo on each proper glass! 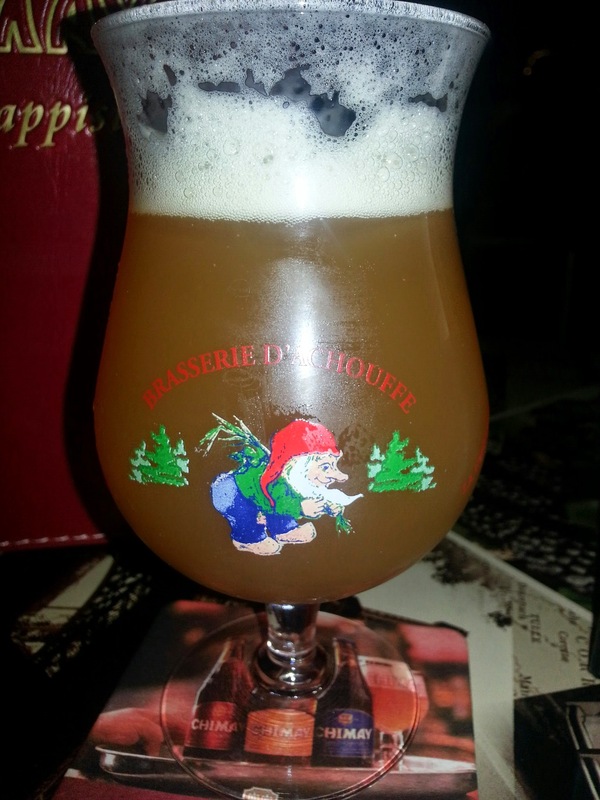 My personal favorite glass and beer was the La Chouffe. This beer was golden ale with a well rounded flavor. It had 8% alcohol, was unfiltered and lightly hoppy with a slight spice to it. 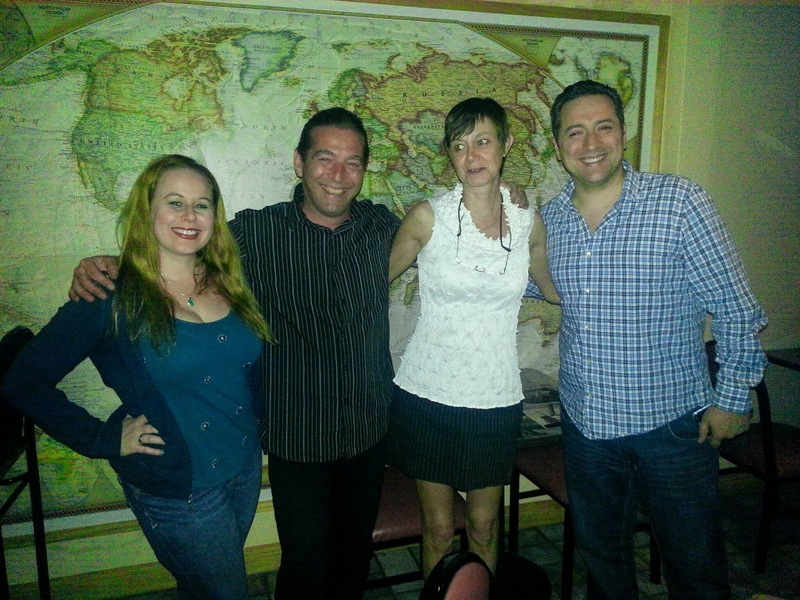 Throughout our enjoyment of beers and appetizers, we were visited by our friendly wait staff and by the owners of The Globe – Belgian Gastropub. The owners are a couple that relocated from Belgium years ago and made us feel at home. The owner of the Globe, Michael and his wife, Marijke welcomed us in to their dining establishment and served us a variety of delectable yummies from the menu. Something that stood out to me was the unique monthly offerings of a variety of foods from a different country. Each month, The Globe – Belgian Gastropub highlights a different country and Chef Christophe, formerly the chef at the Encore Dinner theater whips up specialty dishes from the featured country. The day we visited, Mexico was the highlighted country. For our main courses we had the Coq au Vin and the Steak Frites. The Coq au Vin was recommended by our waiter and the owner, Michael himself. My husband was very happy he selected this dish and enjoyed it very much. 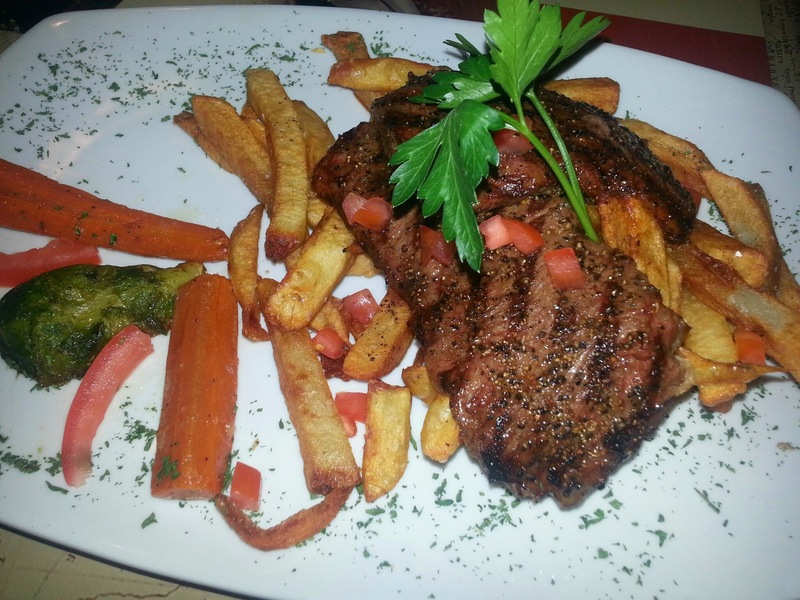 I loved this dish as well, but I was more in a steak mood that evening and my steak frites hit the spot. Normally the steak frites (French fries) comes with a choice of a red demi glaze sauce or a gorgonzola cream cheese sauce, but being the foodie fanatic I am I had to try it both ways, so I asked for both sauces on the side, as well as a side of garlic aioli for my fries. While I enjoyed them both, my preference for this dish would be the demi glaze sauce. I loved the gorgonzola cream cheese, but it was a bit rich for me and I could not eat the whole steak with that sauce. At The Globe – Belgian Gastropub all guests are challenged and welcome to finish a 70 ounce Chimay White in one sitting, but they must first show they have a designated driver and upon completion of the beer, you become a “Chimay Ambassador” and you get your picture put up on the wall. We were stuffed at the end of our dinner and thoroughly enjoyed our meal, but we may have to visit The Globe again soon just to become ambassadors! 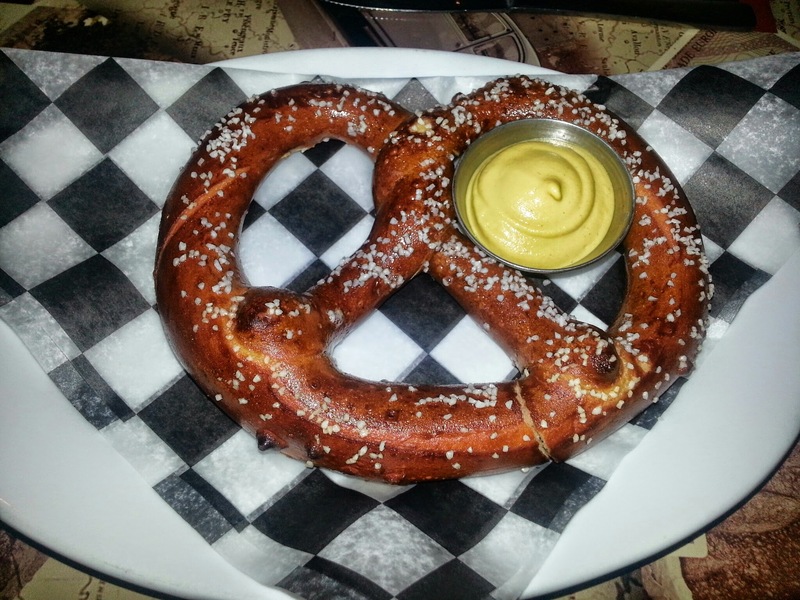 Have you been to The Globe – Belgian Gastropub before? How did you enjoy your visit? If you have never been, you must go check out this unique Belgian restaurant right in the heart of downtown Garden Grove!! I don’t think I have ever had Belian food or beer, but it sounds really great! I love that you traveled as a child and are able to remember the foods, that is really a neat addition to your food tasting! Thanks Deanna for the comment. I have thoroughly enjoyed travel with my family throughout the years and our trip to Israel, Belgium, and Amsterdam is one of my favorite teenage memories:) Thanks again! I hope you get to try Belgian food and beer soon! How funny, I spoke today with a friend who lives in Switzerland and he told me about Belgian fries. These dishes all sound so yummy. I love when the owner and chef themselves recommend their favorites. Me too:) I always know something is going to be great if it is recommended by the experts! 🙂 I loved the steak frites. 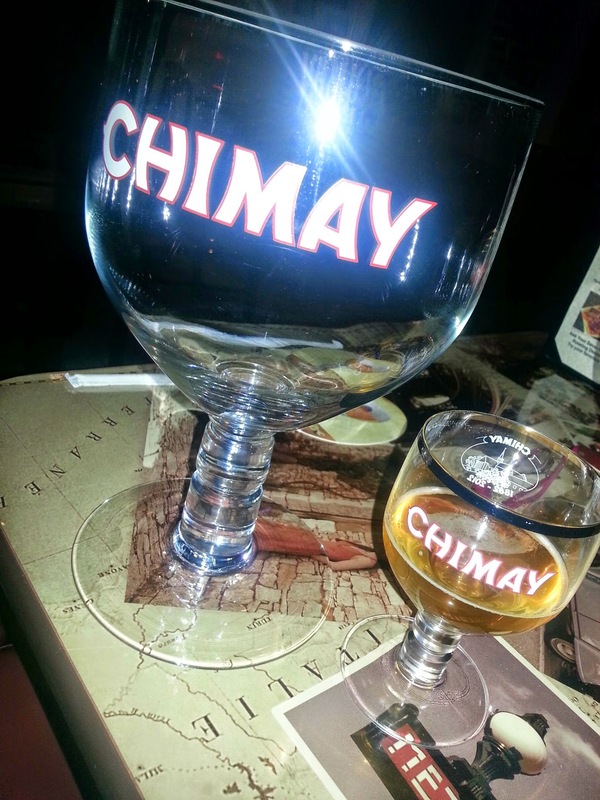 Belgian beer is the best… Love Chimay! Yay! Chimay is pretty amazing! I totally agree!! I didn’t even know what Belgian beer was, so thank you for sharing. This is a really nice review of The Globe. I really liked their selection of Authentic Belgian Beer and cuisine. The Coq au Vin was truly amazing. You’ve enlighten us to so much around the world. Can’t wait to give this a try. I will have to check this out at our new Total Wine and More store! You sure have an amazing job getting to try all these beverages and food then share with us! I feel like you give us a glimpse into the world with all of the different places you take us to. It’s a joy to see you in action. If you are ever in the Washington, DC area, I would love to join you on a dining experience! Thanks for the info Dani! 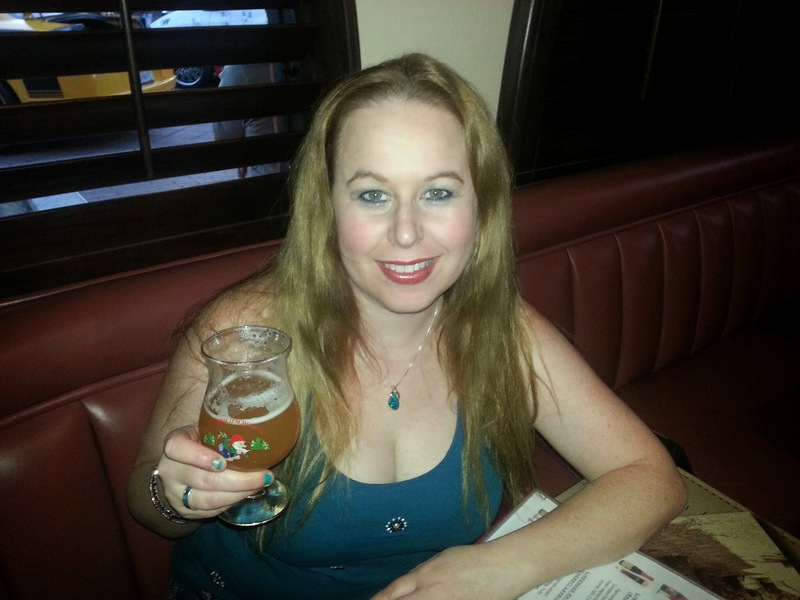 I have not been to the Globe and I love Belgian beers! Going to put this on my list! Cheers! Yes!!! It is a great place. I also am a Belgian Beer lover! We should meet up there sometime Raquel! :)Cheers to you as well my friend!